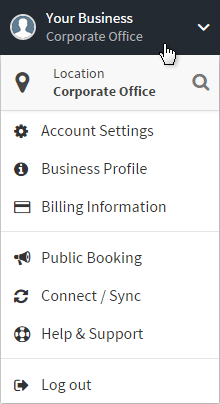 Click on the user menu in the upper right corner. 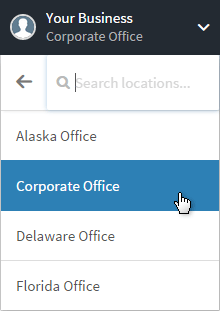 In the menu that opens, click on the Location header, which displays the currently selected location. A list of locations appears. Use the search input to narrow down the list, and then select a new location. Alternatively, click the back arrow next to the search input to return to the menu. After selecting a new location, the page will automatically refresh with the new location set.